This entry is part 10 of 15 in the series Effectual Fervent Prayer. 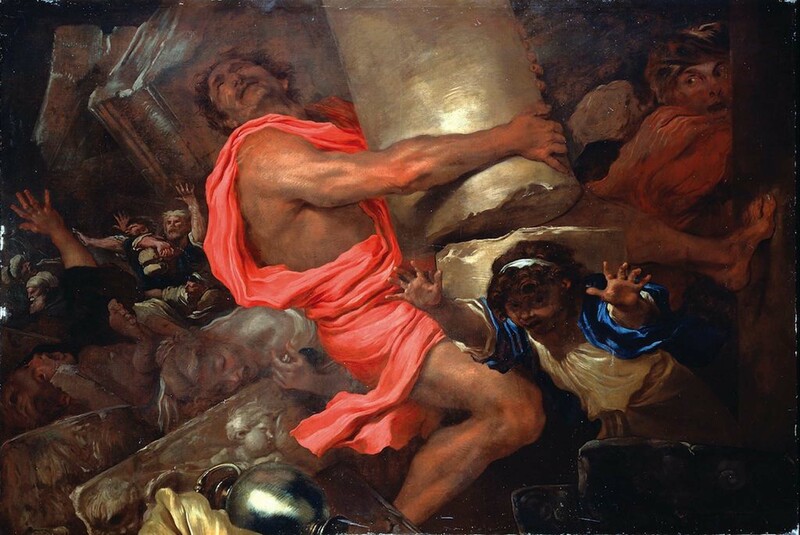 29 And Samson took hold of the two middle pillars upon which the house stood, and on which it was borne up, of the one with his right hand, and of the other with his left. 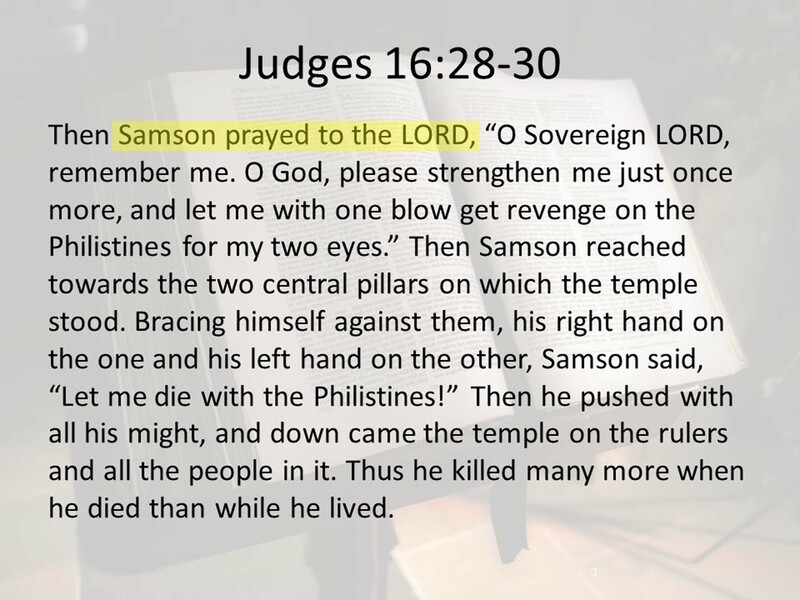 30 And Samson said, Let me die with the Philistines.